Bad Luck Brian needameme Promo! Absolutely hilarious, definitely going to be on the front page! Oh, I hit 10k today should I make a meme for it? 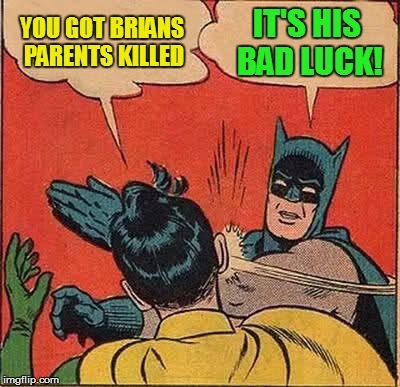 I actually blanked out the name and added the bad luck Brian in comic lol. I will try again tomorrow I think. Thanks for the info. Not sure how jj got saved in there? I did several version's and with the 3 images separate.